Two main factors that contribute to early aging are sun damage and uneven skin texture. As we age, our skin may reflect the cumulative effects of ultraviolet radiation from years of sun exposure. This sun damage may show up on our skin as age spots, brown spots, melasma, freckles, or hyperpigmentation. In addition to pigment changes, sun damage can make our skin age prematurely and increases our risk of developing certain types of skin cancer. Going out in the sun is a natural part of life but even on cloudy days, the sun can continue to wreak havoc on our skin. Our team at The Dermatology Center utilizes the latest anti-aging techniques and treatments to restore your skin tone and help you protect your skin in order to put your best face forward. There are a number of innovative skin treatments available that can help to reduce the appearance of sun spots and improve uneven skin tone or pigmentation problems. Our team at TDC will listen to your needs and work to develop an individualized treatment plan and long-term skin care regimen to help restore your complexion. We offer a wide range of laser treatments and chemical peels, which will rejuvenate your skin and keep it looking smooth and beautiful. Laser resurfacing is an advanced, non-invasive treatment for pigmentation problems and uneven skin tone that offers patients a complete beauty treatment that restores and revitalizes the skin. Laser skin resurfacing uses high energy light to reduce sun damaged skin, improve fine lines or wrinkles, and restore an even skin tone. 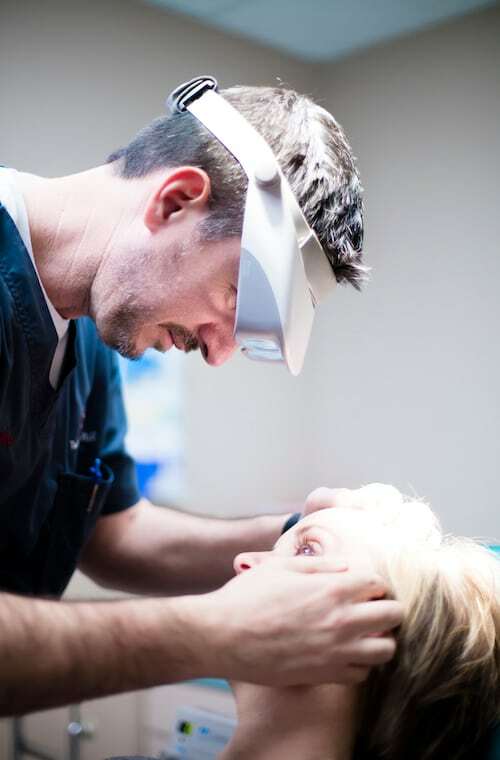 The Laser Genesis uses micro-pulses of laser energy to activate collagen remodeling to improve the appearance of fine lines and wrinkles, and diminish the signs of aging such as facial redness and brown spots. At The Dermatology Center, we use medical grade chemical peels to help give improvement to pigment issues and premature aging. Chemical peels are a wonderful skin treatment that can improve the appearance of sun damaged skin by using a chemical solution to remove the outer layer of old skin. Once the outer layer peels away, the new skin that is revealed is smoother, less wrinkled and has a brighter tone. What Causes Sun Damage & Uneven Skin Tone? After years of sun exposure, dark, pigmented areas or spots may appear on the skin. These freckles and sunspots are caused by the dangerous UV rays that penetrate the skin. As a result, the skin produces more melanin to protect itself. Melanin is what creates our skin’s pigmentation and when excess melanin is produced, it can cause dark spots. The appearance of spots on the skin is gradual with age and can continue to worsen without necessary sun protection. In addition to spots, excessive sun exposure can also cause uneven skin tone, which can make a person look older than they are. While most sunspots are usually not dangerous, unusual or atypically shaped spots should be evaluated by one of our board-certified dermatologists at The Dermatology Center to make sure they haven’t developed into skin cancer. In addition to dark spots and freckles caused by sun exposure, there can also be pigmentation problems present at birth, in the form of birthmarks. Melasma is another pigmentation problem that shows up as dark patches, usually on the face, which can occur with pregnancy, birth control pills or sun exposure. Will a light tan help protect me from sun damage? Having a light tan can’t protect the skin from UV damage. Skin damage, as a result of sun exposure or tanning beds, begins within a few minutes. Even a light tan can damage the skin. The best way to protect the skin is by wearing protective clothing, hats, and sunscreen on a daily basis and never using a tanning bed or light. Do I need to use sunscreen every day? Yes, skin damage can start after just a few unprotected minutes in the sun, even with short tasks like picking up the mail. Using sun protection every day, regardless of the weather or season (even winter) is essential. Sunscreen is even important for activities like driving and partial exposure due to work environments. We recommend using a broadspectrum (UVA-UVB) sunscreen with an SPF of 30 or higher every day. It’s important to use extra protection when you’re swimming or exercising and reapply it every two hours.